With my girls already being My Little Pony Fans, this seemed like a perfect fit for them, and in this you get a full length feature and not just a short episode. In watching this I have to say that the creators did a great job combining two worlds and creating something magical for the viewer. 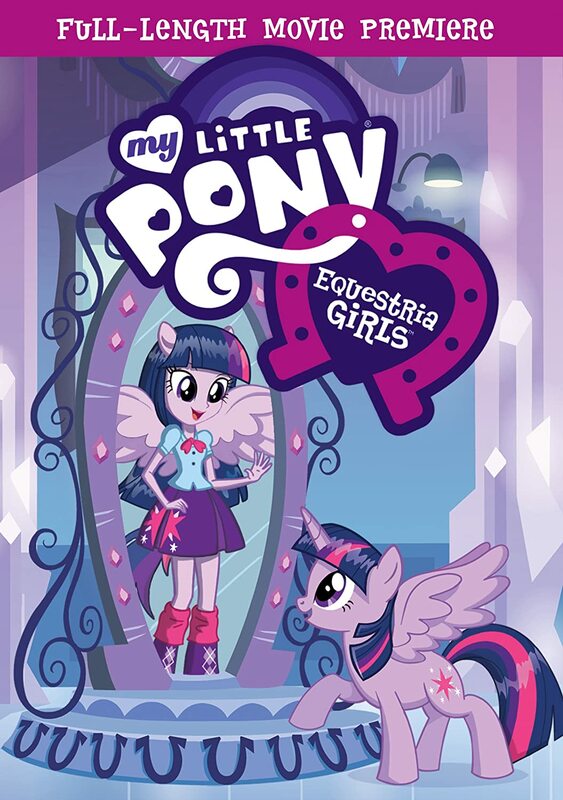 My daughters loved the characters and caught on immediately that there were some connections between the friends that Twilight Sparkle had in the Crystal Empire and the alternate world, but the movie keeps you guessing somewhat on what will happen in the end. The plot was fun and engaging and you get easily drawn in and lose track of time when watching. Overall, this was a great movie for the whole family!